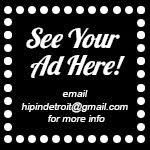 Hip In Detroit: Big Freedia w/ Tunde Olaniran & Jamaican Queens Thursday! Big Freedia w/ Tunde Olaniran & Jamaican Queens Thursday! 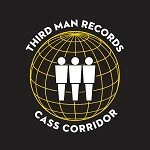 The Crofoot is known for booking some of the best acts that come through Michigan, but they are also known for booking the best locals to compliment the bigger players. When you go to a show there, you go to see the whole lineup instead of showing up late to just see the featured act. 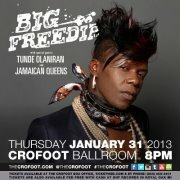 The Crofoot has two of my favorite Michigan acts scheduled to open up for Big Freedia this Thursday in the ballroom, Tunde Olaniran and Jamaican Queens. Big Freedia is known for her version of bounce music called sissy bounce which features her flamboyant style and a little cross-dressing to entertain the crowd. The show is at 8 p.m. and is $13 in advance, $15 at the door. This event is open to all ages. 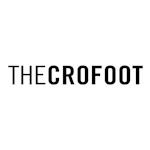 The Crofoot staff is one of the best around; you will never wait long for a drink or a bathroom. Make sure to tip your bartenders well and wear your best dancing shoes to this one.